On March 8, 1990, I became the first commercial airline pilot ever arrested for having flown under the influence of alcohol. The story burst onto the news scene with a blistering and unrelenting fury and it stayed there for weeks and weeks on end. I was disgraced, dishonored, and devastated, and I became a public pariah. Within thirty days I had gone broke, been terminated from Northwest Airlines, stripped of all my FAA credentials during an emergency revocation procedure, and my life had been obliterated. I was mentally and emotionally shredded. I had come from a poor family in a WWII housing project on the edge of Wichita, Kansas. I am a mixed blood Comanche and both of my parents died of alcoholism. I joined the Marine Corps when I turned eighteen and I excelled for 11 ½ years, rising from Private to commissioned officer status as a Captain, and earning my gold wings as a fighter pilot. I flew in Vietnam and was decorated. My nearly twenty-two year journey at Northwest Airlines had paralleled my Marine Corps career, but I had become alcoholic as the years past and it caught up with me – as it always does. The day after my arrest I saw two doctors, one referring me to the other, and I ended up in a treatment center with only the clothes on my back. 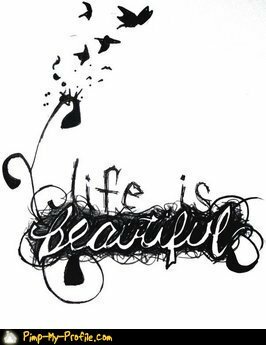 I have been sober ever since the day of my last drink on March 7, 1990, over twenty-two years now. Thus began a journey that eventually evolved into one miracle upon another. However, there was a series of indescribably horrific events that would have to occur first. I got out of treatment and was immediately in a heavily publicized three week trial, the outcome of which I already knew before it ever began. I was convicted, sent to Federal prison for sixteen months, and the trial judge put additional sanctions on me to forever close any possibility of my flying again. I can’t go into the entire story here but It’s full of the unbelievable; miracles that slowly evolved into my regaining of all my FAA licenses, literally from the ground up, the Pres/CEO personally reinstating me to full flight status nearly four years later even though I’d never fought my termination, and my eventual retirement from the Captain’s seat of a 747 as I honorably closed out my career. Within days of my retirement, my trial judge notified my former attorney that he’d never supported a petition for pardon but would support mine if I chose to make the attempt. I’d never considered such a thing. This was now eight years after my trial. I put in the papers, the judge wrote a chokingly powerful and emotional three-page affidavit, and two years later I receive a Presidental Pardon, which is a life-changing event for a Federal felon. Woven throughout this story is the message of hope. It is underscored by the love of a wife who refused to give up on her husband, who stayed with him throughout the public beatings and all the disgrace, and saw him rise from the ashes of humiliation and impossibility and retire as a well respected citizen of the world once more. Lyle Prouse was born in Wichita, Kansas in 1938. 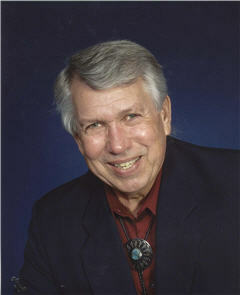 He is part Comanche and grew up in an alcoholic home in a World War II housing project. He was active in his Native American community. After graduating from High School in Wichita, Lyle joined the Marines as a private but made the rare transition from enlisted to officer grade and ultimately Captain, a jet fighter pilot flying combat missions in Vietnam. After his discharge from the Corps, Lyle became an airline captain for Northwest Airlines and flew for nearly 22 years before the same alcoholism that killed his parents almost destroyed his life. He was the first commercial pilot ever arrested and sent to prison for flying drunk. The blistering media coverage was relentless as he was fired, stripped of all flying certificates, tried, convicted, and sent to Federal prison for sixteen months. The trial judge added sanctions on top of the conviction to guarantee he would never fly again. In spite of all the seemingly impossible obstacles, Lyle got sober, experienced many breathtaking miracles, returned to Northwest Airlines and retired as a 747 captain. In January of 2001 he received a full Presidential pardon from then President Bill Clinton. Today, Lyle is a husband, father, and grandfather. He has been sober over twenty-one years and has devoted his life to helping others overcome alcoholism. He is still flying and has participated with all the major airlines in their ongoing alcohol programs. He remains active in Native American sobriety movements. 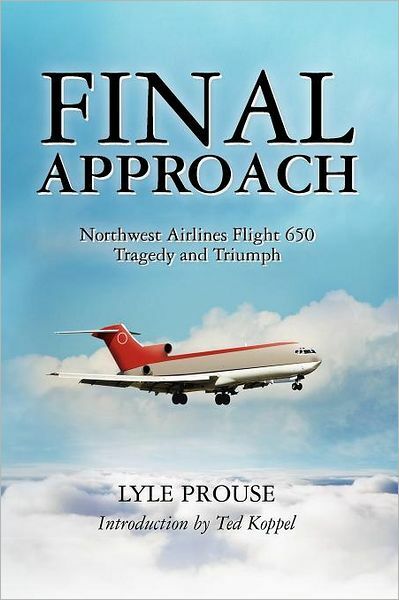 His latest book is Final Approach: Northwest Airline Flight 650 Tragedy and Triumph. You can visit his website at www.lyleprouse.com.